NEW. Royalty Free. 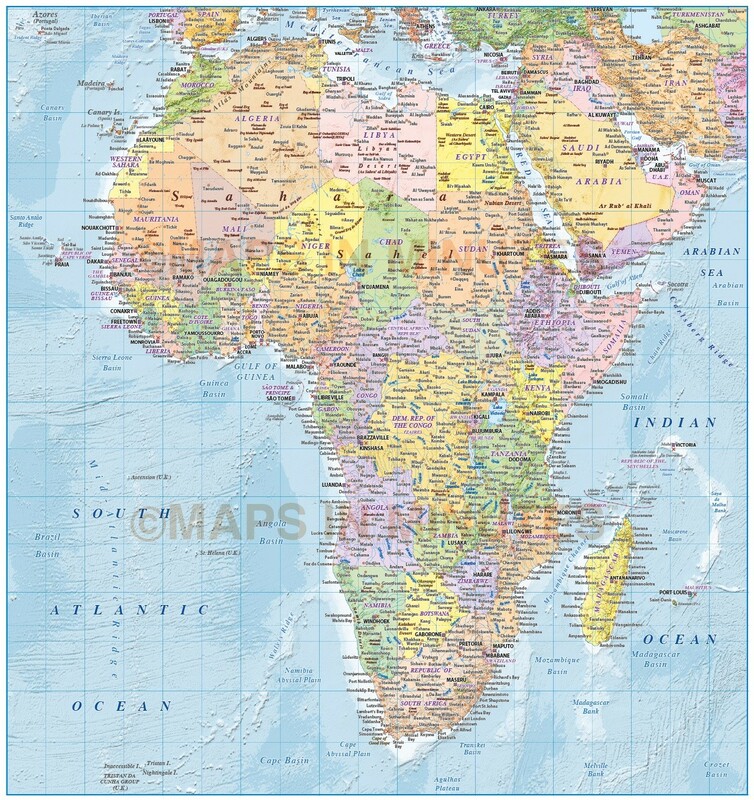 Detailed Political Map of Africa with relief option. Includes all country fills and boundaries. Available in Illustrator CS3, CS4, CS6 (for CC). 100% editable including font text. For use from A4+ to A2. 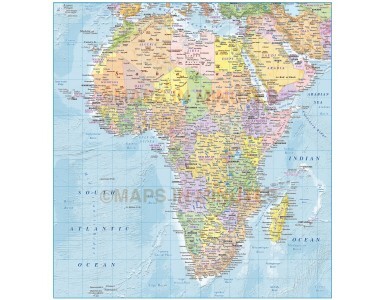 Fully editable large scale Africa Political and relief map in a choice of formats. Layers include: Coastlines, first division (for Brazil) and country borders, first division (for Brazil) and allcountry fills (as separate objects), capital cities, major settlements, country names, sea/ocean names, rivers, river names, major lakes plus latitude/longitude @10 and 5 degree intervals.